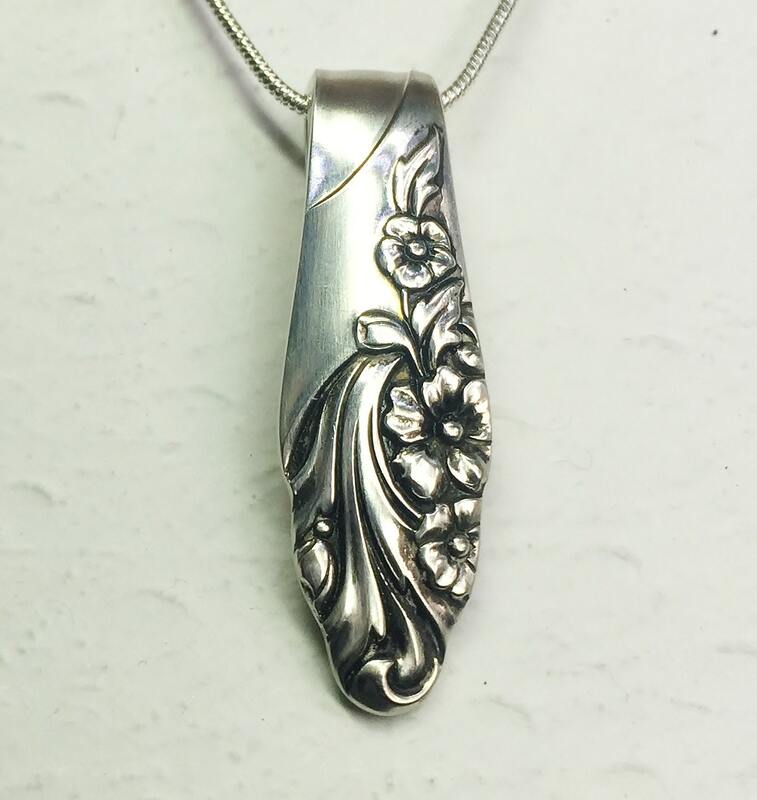 This spoon necklace pendant was crafted from a vintage silverplated teaspoon in the ever popular "Evening Star" pattern from 1950. 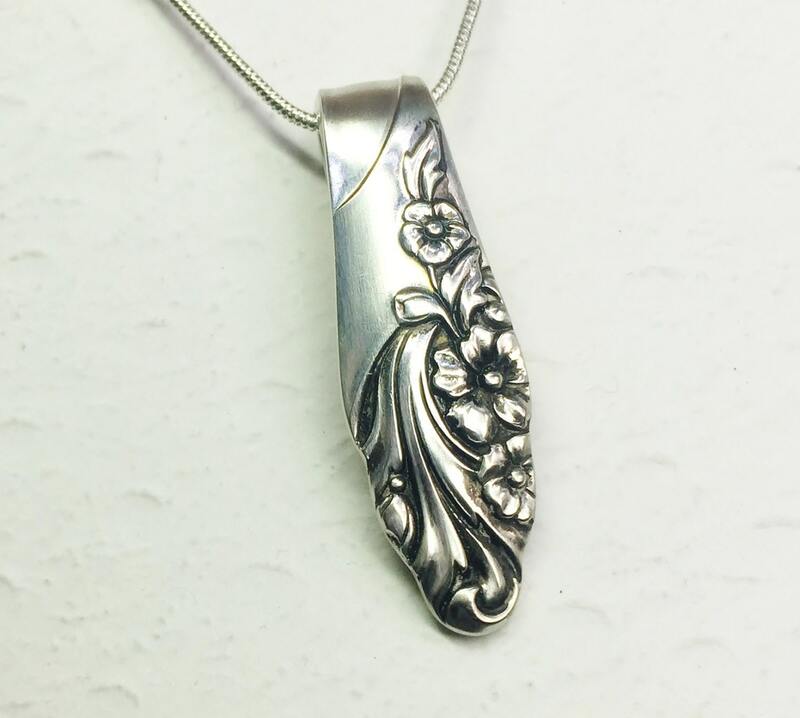 It measures 1 1/2" in length. 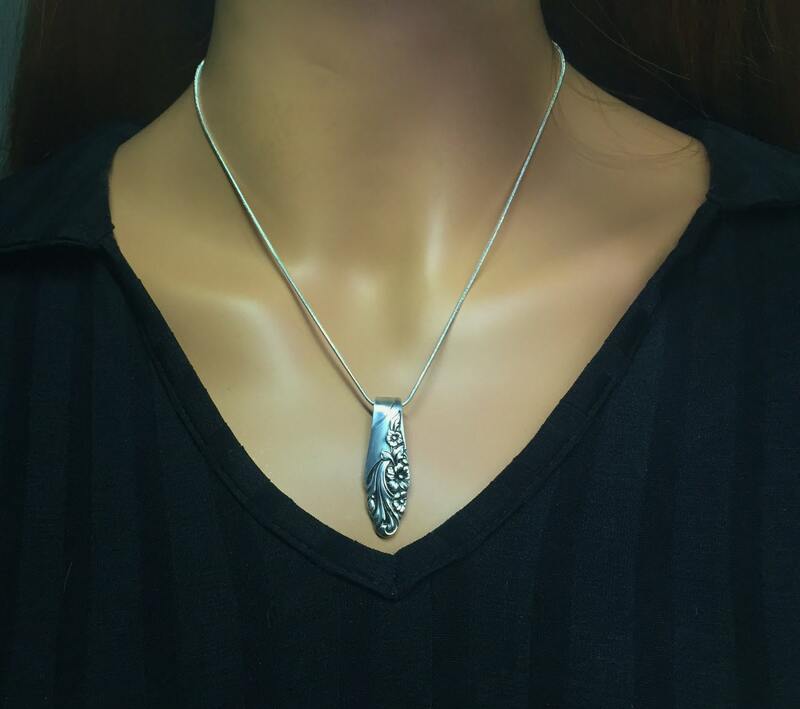 It's shown suspended on an 18" silver finished snake chain with lobster clasp closure. You may also opt for a 16", 20" or 24" chain if you wish. Just choose your favorite length from the dropdown menu at checkout. 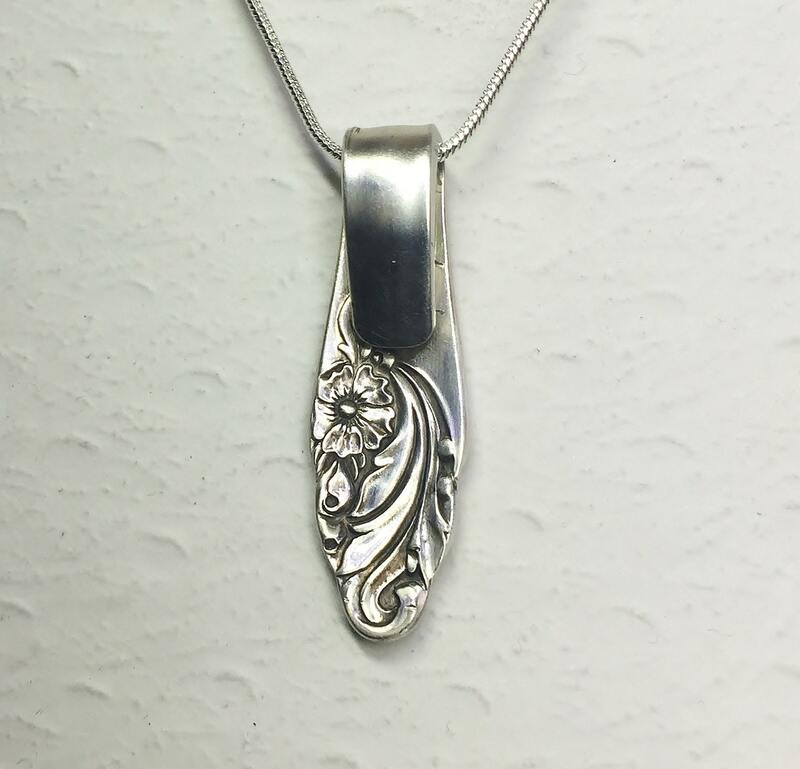 This elegant piece of silverware jewelry will arrive festively gift packaged; along with the pattern name/age of the spoon, and a Spoonfest Jewelry story card. Shipped on time and my wife loves it. Thank you! 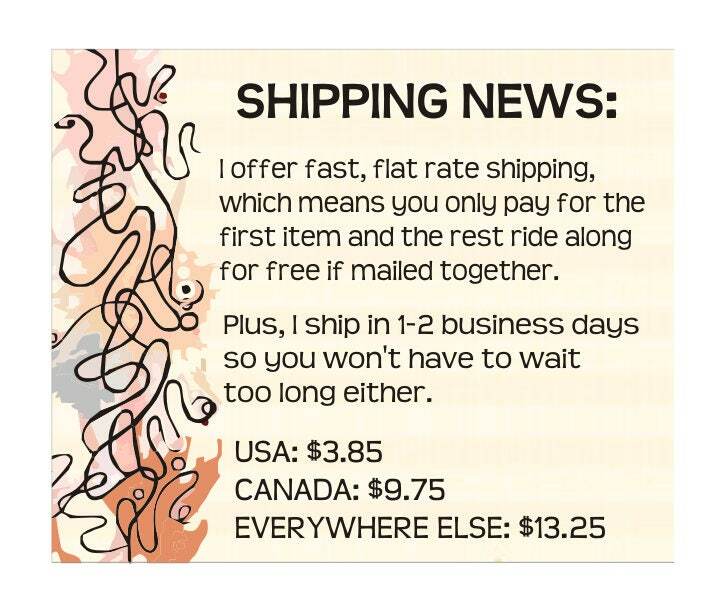 Such a great necklace and came very fast. I love the Evening Star pattern, so pretty it looks like it was made for jewelry!